but Deckard Shaw, (Jason Statham) brother of Owen, will not allow that. Driven by vengeance, Deckard will not stop until every one of Toretto’s crew is lying six feet under. There is no choice but to bring the gang back. Getting to Deckard isn’t a easy task, and to do so the gang is going to have to play along with a mysterious government official known as “Mr. Nobody” Frank Petty (Kurt Russell) to retrieve a powerful program that is deadly in the wrong hands. Dom, Brian, and company are going to need every bit of their family bond to survive this one. November 30th, 2013. That is the day that Furious 7 became more than just the seventh installment in one of cinema’s highest-grossing franchises. On that day, Paul Walker sadly passed away, and F7 became one of the most talked about, analyzed, and scrutinized movies leading up to April 3, 2015. What would the studio do? What should they do? Should Walker be replaced? Should production even continue? It is almost impossible not to think about the circumstances involving this movie, and the movie doesn’t necessarily make the viewer forget them either for that matter, but Furious 7 should be most of what fans desire: Unfathomable action, quality time spent with its universe’s characters, and a tasteful and deftly executed sendoff for Paul. 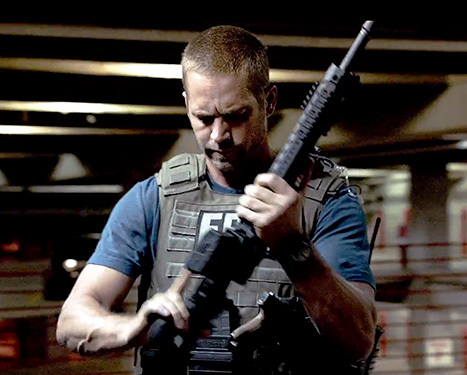 Since the series-altering shift in Fast Five, what exists in the scripts of these films serve as just enough glue to connect wildly entertaining sequences to a plot. F7 presents a compelling setup with the common but tried and true revenge angle, and that never truly leaves the duration of the film. But, it does take a backseat to the A plot. Without spoiling too much, there is a lot of globe-hopping and more opposition than ever before, but with that, some rough edges are found. Perhaps they are present because of the reported rewrites that came about because of the tragedy, which no one could have planned for. 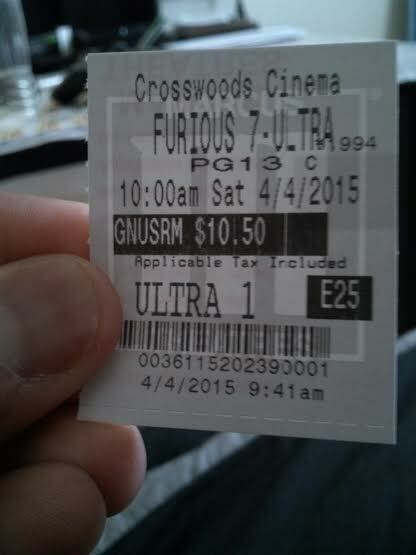 There’s a feeling that may be had that everyone did the best they could with the circumstances given, plot included. It isn’t a shoddy one, per se, but more disparate than I would have liked. What does hold the “over here, over there” plot together however is the theme of family, both in the world these characters live in, and in the real one. Even through the most ridiculous stunts, family links exist, and have only become stronger with each installment. Never once is there doubt that these characters wouldn’t put their lives on the line for each other (getting to seven movies will do that), and never once is there doubt that Vin, Michelle, Paul, Tyrese, Jordana, Dwayne, and Ludacris aren’t legitimately enjoying each other’s company. This gives some of the dialogue (not the corny but highly entertaining one-liners) about sticking together and realizing what is important more emotional heft, amplified by a score composed by longtime F&F music contributor Brian Tyler. It is fourth-wall breaking in a sense, but not bludgeoning to the point where it becomes the sole mission of the movie. Walker’s untimely demise usually found its way in any talks about Furious 7, but what went under the radar despite being just as important is the new face driving behind the directorial seat. Justin Lin’s four movie run ended with F&F6, and in steps perhaps the most popular producer and director there is today in horror: James Wan. The result is pretty good for a guy who’s only real exposure to action was Death Sentence, and that is nowhere near the action levels that F7 possesses. Wan does a lot of solid things, one of them being (with the technical crew) the difficult task of having to complete Paul’s scenes with CGI and voice-over. To be honest, yours truly hardly noticed where the real Brian and the produced Brian were. Sure, an educated guess can be made where Wan and company had to work a little harder. Some scenes choose to linger entirely on other characters while Walker is speaking or use really quick cuts as to not linger on Walker’s visage, but as a whole, especially in the action, a magnificent job is done integrating what could be a hindrance seamlessly. Wan excels at showcasing the all-out, vehicular mayhem and wide-scale insanity that Lin perfected with each subsequent movie, and it is even possible that he may have Lin beat in this arena. But from a pure hand-to-hand comparison, he lacks the expertise that Lin brought to the table. There’s a lot of rapid, somewhat odd camera angles with some of the clashes, which doesn’t totally dull the fistfights, but it removes some of the visceral impact they could have. Most directors don’t immediately come equipped to capture action right away, especially in a blockbuster. He’ll get better, because he isn’t bad to start with. Enough has been said about the returning characters. Not much is different with them, which can be good or bad depending on your point of view, although there is a well-crafted arc with O’Connor that is developed from the beginning and earned. It can be wondered if the rewrites took screentime away from Dwayne Johnson, but being the persona he is, his presence is still felt. 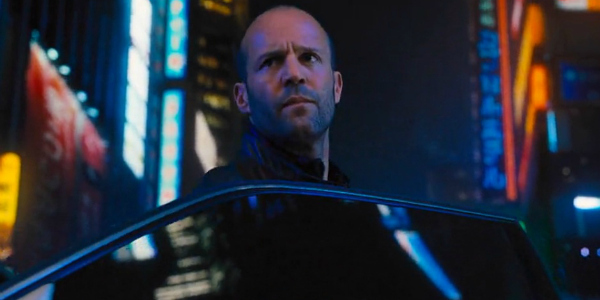 As for the notable newbies, Statham may be the best definitive villain in the entire franchise, but he really only appears when convenient. Djimon Hounsou is a standard bad guy in what may have been the role Denzel was offered. Wherever the franchise goes next, Kurt Russell looks to be a substantial cog. His character is an interesting addition. Furious 7 marks the end The Fast and the Furious franchise. Not literally speaking of course, with the money to be made with this one, but figuratively and spiritually. There’s a finality that exists amid the spectacular crashes, humorous one-liners, and death-defying stunts. 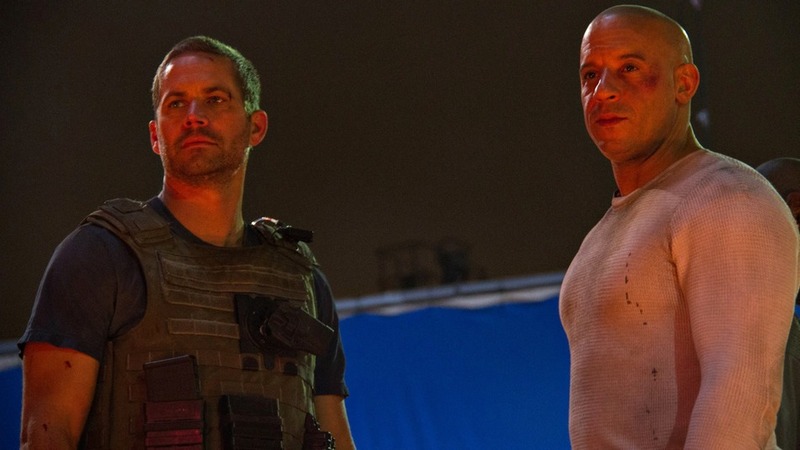 Furious 7 goes out the only way it knows how to: By riding out together. Photo credits go to cinemablend.com, businessinsider.com, mashable.com, and usmagazine.com. Fast Five is still far and away my favorite movie of the franchise, and you hit many of the reasons why I felt this one was weaker (disparate plots in particular). The Rock was sidelined for most of the movie, sadly, but he was awesome when he was on the screen. Also, that Paul Walker tribute was really lovely. Great review! We agree on Fast Five! I could rewatch that over and over again. If I had to rank them right at this moment, I’d go 5>7>1>6>4>3>2. 1 and 7 could be flip flopped. To be honest, when I heard about the God’s Eye in summaries I thought the plot would be a little jumbled. But still, every big set piece was a marvel. I had a ton of fun and will be seeing this again. Thanks for reading. Nicely written as per usual MMJ. You know this aint my sorta thing usually, but apparently this one has bloody cars jumping in planes and all sorts of just really over-the-top stunts. I mean, I actually loved the first one. The second, kinda, don’t think I ever saw the third. I’d probs like Fast 5 which seems to be the best one from what you wrote just above. But cars jumping into planes? Is it that bad? Or is it just normal, cars rolling over doing their thang sorta stuff, car chases, drag races etc. That is what I loved about the first. Hell I’m gonna go rent it now I really wanna see it!!! Jordan, you got it. Cars do jump into planes, and out of them as well. There’s are numerous call-backs to the first though, but obviously the focus has changed. I do highly recommend however. If you do see I look forward to your thoughts. Definitely check out 5, but know that it is where the franchise transitioned. If you’re looking for grittiness and darkness though, 4 still has it and though you can begin to see the shift start to materialize, it is probably the last film that has a little attention to racing. Cheers for the info man, I’m pretty sure I lost interest back at three so it’ll be nice to catch up. Which did you like better, the cars dropped out of the planes, or the car flying between buildings? So tough! I am gonna lean with the former. The car jump was amazing, but the dropping out of planes lead to, imo, the best action sequence of the film. I like your take on how Wan may not have been able to capture the more intimate fight sequences (the hand-to-hand combat bits) as well as his predecessor. That’s stuff I wouldn’t have ever picked up on. I think no matter where this series goes next it will be interesting. There’s so much chemistry already formed that I think the future is still safe. Idk how many franchises (modern ones no less) you can say that about. Replied to the wrong post lol! Stuff like that isn’t stuff I pick up on a ton, more an aberration than a consistent finding. I think that I had just rewatched 4, 5, and 6 recently leading up to 7 that I saw a stark contrast between how fight scenes were handled. They aren’t terrible at all, but Lin (especially in 5) had an amazing feel for hand to hand that Wan doesn’t, but filming that kind of action takes time to get good at. I am going to watch any movie that this franchise puts out, but there is a huge part of me that would love to see it end here. I truly believe that spiritually, it will end with this one. Thanks for the thoughts man.